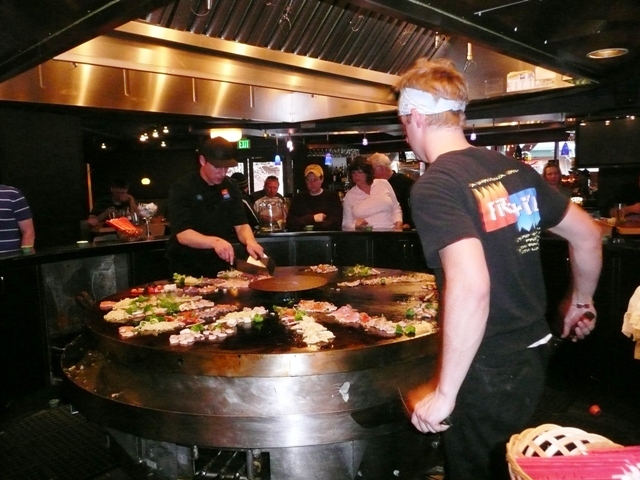 FiRE + iCE has been the hot spot of the Heavenly Village for six years and running! Accommodating to a variety of groups we offer an up beat and exciting atmosphere. Our talented chefs will light up your night with electrifying entertainment! We offer an endless array of culinary possibilities by allowing our guests to create their own meal! FiRE + iCE is priced per person with unlimited trips through our market area. We also offer a full bar and are open for lunch and dinner daily, no reservations required! Our patio is a great place to unwind after a long Tahoe day with 3 large fire pits to keep your night rolling. 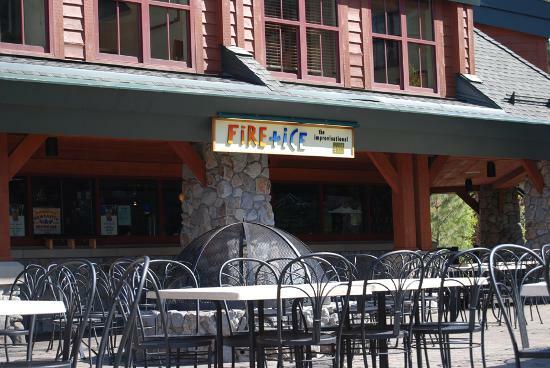 Located at the base of the Heavenly Gondola, FiRE + iCE is a great place for any occasion and we do our best to make your Tahoe vacation dreams come true!